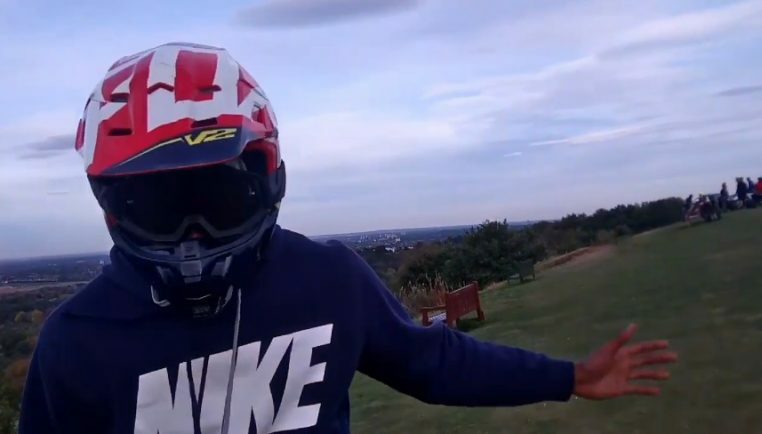 RUBERY residents have pleaded with the police to do all they can to catch the off-road motorbike riders who wreaked havoc on the Lickey Hills on Sunday night. The pleas were made at the village’s PACT (Partners and Communities Together) meeting at Waseley Hills High School. It followed videos posted on social media of more than 20 off-road bikes being revved and ridden around Beacon Hill and a dog walker being verbally abused and threatened by one of the riders. The most shocking part of the footage showed one of the riders deliberately spin his back wheel to spray mud over the dog walker. Residents say riders regularly travel at speed between the Lickey Hills car park and the monument and race through the woodland where there were sometimes up to 30 dog walkers. PC Simon Albutt, standing in for Rubery Safer Neighbourhood Team (SNT), vowed officers would be taking action and were in close contact with their colleagues across the Birmingham border. He appealed for the Rubery community’s help to bring the riders to justice and said any information given would be shared with West Midlands Police. “I understand your concerns and I feel as angry and frustrated as the rest of the community. “We will keep working at this but we need help from you, the Rubery community. Insp Mark Chappell told The Standard the behaviour would not be tolerated. Anyone with any information on the riders, the bikes or where they are kept should call police on 101 or Crimestoppers on 0800 555 111.